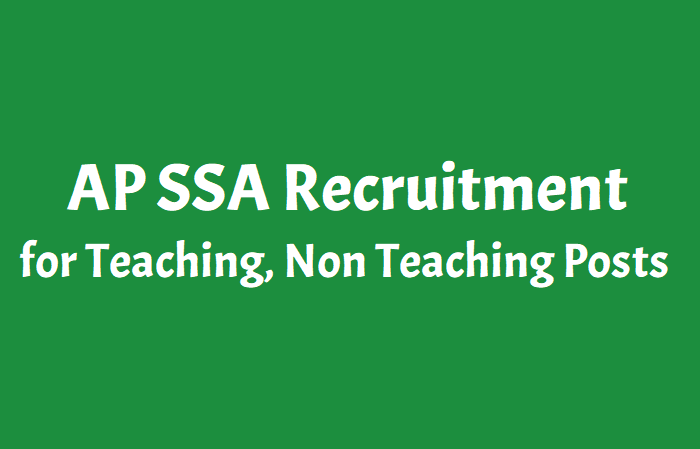 AP SSA Kurnool Recruitment 2018 for Teaching, Non Teaching Posts: SSA, Kurnool Dist 141 Computer Teacher, CRP & other Posts Recruitment and Last date is 26-11-2018. Sarva Siksha Abhiyaan, Kurnool Project Officer invites applications for the following posts on Outsourcing basis. Qualification: SSC, ITI, Inter, ANM/ GNM, B.E., Bachelors Degree, B.Ed, TET. How to Apply: Candidates can send their Bio-data form along with attested copies of all relevant certificates through post. Address: Om Detective Security Service, Shop No.112, Annapurna Shopping Complex, Vijayawada Road, Guntur.